Recommendation: A very, very MEMORABLE WINE. 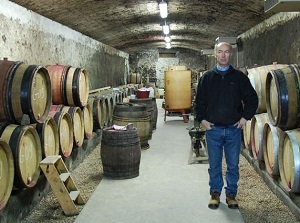 Winery/Producer: Marc Sorrel; Hermitage France. 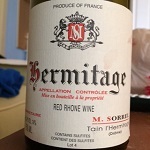 Geographic Region, Appellation: Hermitage; Northern Rhone, France. 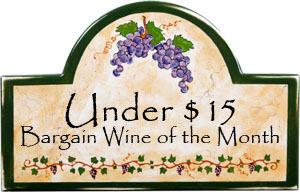 Purchased From: Woodland Hills Wine Company, Woodland Hills, California. 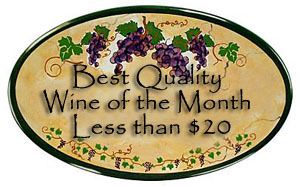 Paired With: Smoked beef brisket, french fries, sauteed mushrooms and garden salad with feta cheese. He said: Opened one-hour before drinking. Clear, garnet color with a somewhat brick red rim. Powerful fresh picked tobacco leaves, leather, damp earth, red fruit, some spring breezes and even a touch of tar in the aroma. Intense yet such a supple taste with layers of fruit flavors that go on and on, deeper and deeper, into a long dry finish. WOW, WOW, WOW this was a very special wine…OUTSTANDING complex bouquet, a mouth-feel and taste with exceptional depth and if all that was not enough it had delicious tannins and a finish that you wish would never end. A very, very MEMORABLE WINE. As an “Old World”-“New World” tasting we drank this Marc Sorrel Hermitage and the similar priced Tablas Creek Vineyard Esprit (California Rhone blend) side-by-side and blind. They were clearly both OUTSTANDING wines and when every drop was gone two of the tasters said the Tablas Creek Vineyard Esprit was their favorite and two said the Marc Sorrel Hermitage was their favorite. Both the pairing and the wines were MEMORABLE and it made for one of those very special wine drinking experiences!!! She said: Dark garnet, slightly opaque, with lots of thin slow moving legs. With a very flavorful aroma the wine had rich cherry taste, was dry, and had a flavorful finish that was full of delicious tannins. It went well with the dinner and I would buy it again because it is my kind of wine! Comments: Learn more about the Marc Sorrel and his wines. Imported by: Paul M Young Fine Wines; Los Angeles, California. Photo from Paul M Young Fine Wines.